The first thing you remember is waking up in the back of a van in restraints. There are people with you, also in restraints. Men in white suits are driving you to an unknown location. Then you pass a sign post. Who are these people with you? Why are they treating you like this? 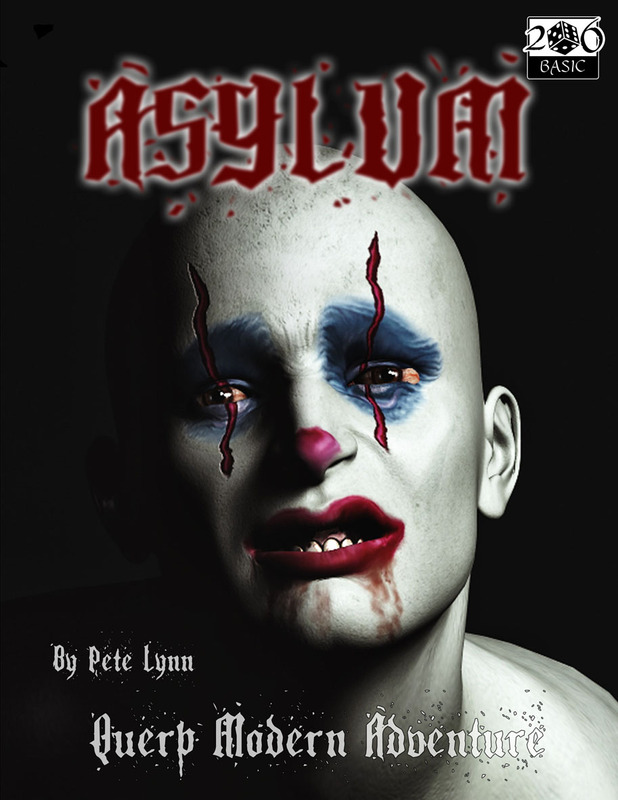 Welcome to Hofas Asylum - your own personal hell.This adventure introduces new character types, special skills, equipment and new rules on madness and insanity. This is not a stand-alone product. This adventure requires the QUERP Modern Core Rule Book, published by Greywood Publishing.